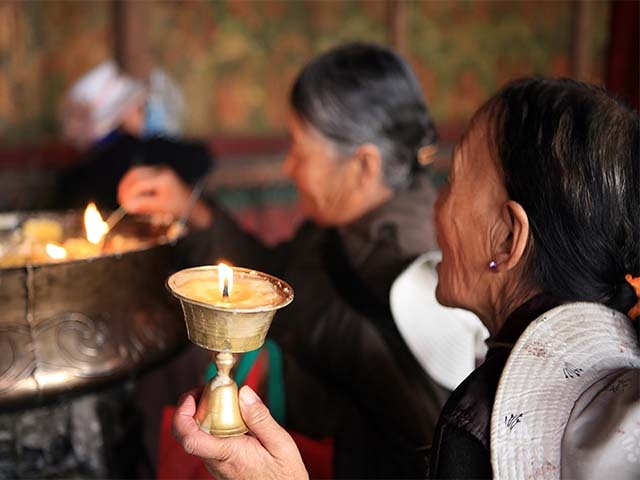 Trek through Bhutan's wilderness and admire its unique wildlife on this fantastic 14-day tour. Look out for Snow Leopards, Himalayan Serows, Musk Deer, and Himalayan Black Bears as you traverse the scenic route from Paro to Dolam Kencho. *Please note, this cost is for foreign nationals only. Indian nationals can email us for domestic rates. Your Himalaya tour begins on arrival at Kolkota Airport in India where you will be welcomed by our representative and transferred to your hotel. We advise you to get adequate rest today, as tomorrow we begin an exciting journey into the amazing wilderness of Bhutan. 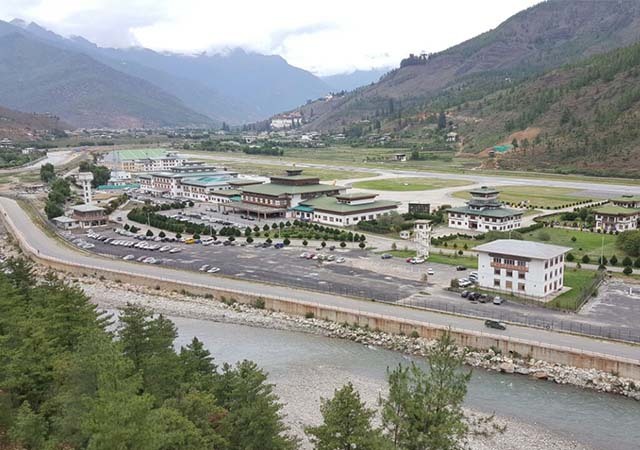 Today we take an early morning flight to Paro to properly start our Bhutan trekking tour. Paro is a town in an agricultural valley of the same name. It is situated at an altitude of about 2,300m above sea level. It is in this region that one may spot Capped Langurs, Rhesus Monkeys, Himalayan Black Bears, Himalayan Serows and several species of Deer. On the third day, we drive to Chelila Pass (3,800m) to enjoy a splendid morning view of the Himalayas. Picnic lunch will be carried along. This is actually when our Bhutan trek starts. We will be walking over the ridges on the southern face of the pass to spot the Himalayan Serow. The conifers and sub-alpine forests around Chelila are an ideal habitat for this exotic mammal. We might also spot Musk Deer and Mountain Foxes. Our exploration of the area ends at about 2.00 p.m, after which we drive back to Paro (approx 1 hour drive). 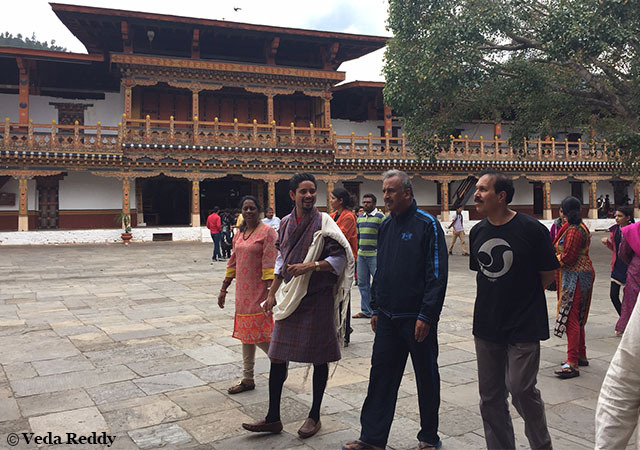 On the way back, we will stop to visit Dzongdrakha Temple. Capped Langurs can be spotted on the nearby cliffs, where they forage for acorns and wild rose berries. Our route takes us on a gentle climb through rice, wheat and potato fields. We may spot Wild Boars during our hike. We will soon leave the farmlands behind and enter the temperate zone, where Blue Pine is prevalent. A lunch stop will be made after crossing the first forested area. Keep an eye out for Gorals aswell. We aim to reach our campsite around late afternoon. The area where we will be staying is known as Shana Zampa (2,870m). Today we trek along the Pa Chu (Paro River) on the left bank and enter the region’s thick, temperate forests. Our trail takes us through Rhododendron and Poplar vegetation. A stop for lunch will be made at Thongdu-Zam. As we continue our trek, you will notice that the blue pine forest gradually gives way to mixed conifer forest land. We might spot Pheasants, which frequent the region in the period between May and June. Look out for the Himalayan Black Bear and Musk Deer during our trek as well. Our trail has a brief ascent up to our campsite for the day, Thang-thangka (3,750m). From here, we get a spectacular view of Mt. Jumolhari(7314m). Today’s trekking is less rigorous. Our pace will be slower as we are at a slightly high altitude. We will trek through sub-alpine vegetation while keeping an eye out for the Red Panda, Musk Deer and a variety of birds. Along the way, we will be able to get a glimpse of the Yak herders of the region. The village of Taekeythang, home to many Soe yak herders, lies along our route. Our campsite for the day is Jangothang. This camp commands a spectacular view of the Jumolhari peak. There is a good chance of spotting the Himalayan Marmot (Tibetan Snow Pig), which lives at altitudes higher than most other mammals. Today we go on a day-long snow leopard trek with the locals in search of the rare and elusive cat. We might also spot the unique Bharal (Blue Sheep). After the excursion, we advise you to end your day early as the following day’s trekking is fairly rigorous. After breakfast, we set out from Jangothang towards Lingshi. The trail takes us up rocky terrain to Nyele-la pass (4,700m). Enjoy breathtaking views of Jumolhari and Jichu Drake along the way. The trail then descends gradually from the pass till our campsite at Lingshi (4,000m). If required, we may have to use an alternative campsite that lies beyond an army frontier post. Our destination for day nine is Shodu (4,100m). We walk along a small white chorten on a ridge and enter a largely treeless valley called Mo Chu. We might pass a few Yak herders’ camps along the way. The trail climbs beyond this region and you may want to have one of your power-bars if you’re carrying them along. As we ascend, we will encounter the Cordycep sinensis, a medicinal herb whose medicinal properties are believed to cure cure heart diseases and reduce cholesterol. On a good day, it is possible to see Jumolhari, Gangchenta, Tserimgang and Masagang. After a lunch stop, our trail gradually descends to the valley floor. We aim to reach Shodu by dusk. We have a fairly good chance of spotting the elusive Snow Leopard on this trail. Today we descend steadily through alpine forests and zig-zag along the main course of the Thimphu river. We stop for lunch by the riverside. From here, the trail gradually becomes steeper. We will be camping for the night near the historic ruins of Barshong Dzong (3,600m). This fortress was once used for for guarding the area and as a trading post. Today’s trail descends gradually through a dense forest along the riverbank. A variety of different beautiful flowers may be observed as the altitude varies. The final leg of our trail climbs around a cliff face above Thimphu Chu and leads to pasture land where we will camp for night (at an altitude of 3,290 meters). Our campsite is called Dolam Kencho (Rock of the Gods). Despite its unusual name, you will see that it is not a rocky place, but pasture land. Day twelve has an early start. Our trek will take us upwards once again through forest land to a pass at 3.150m. Picnic lunch will be carried along. We then follow the trail as it descends to the road towards Dodena (2,600m). If we are lucky, we may spot the Himalayan Tiger. Once the trail becomes a broad, easy path along the river, the trek comes to an end. We will leave early in the morning for Paro Airport, from where we catch a flight back to Kolkata. This is the last day of your tour and you will be transferred to the airport for your flight back home.